If you live in Lebanon, “Wonder Woman” won’t be coming to a theater near you anytime soon. On Wednesday, the country officially banned the superhero film just hours before it was set to arrive in theaters. 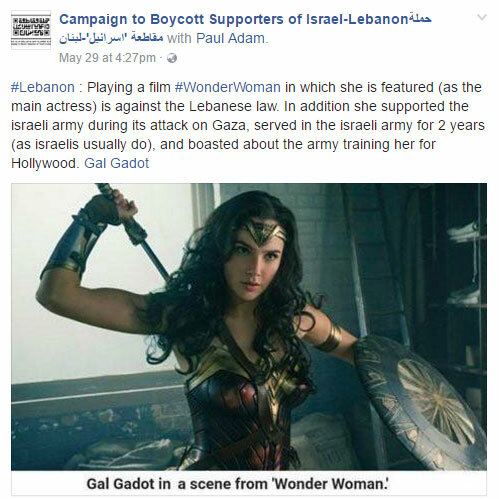 The ban followed an effort by a group called Campaign to Boycott Supporters of Israel, which urged the Lebanese government’s Ministry of Economy and Trade to block the film because its star, Gal Gadot, is Israeli. News of the ban, which had been the subject of speculation since Monday, was announced on social media by Lebanon’s Grand Cinemas and Campaign to Boycott Supporters of Israel. Lebanon has had a contentious relationship with the state of Israel for decades and has an official law on the books that encourages boycotts of products from its neighbor to the south. Israeli citizens and anyone whose passport shows they’ve traveled to Israel are prohibited from entering Lebanon. Earlier films featuring Gadot, including “Batman v Superman: Dawn of Justice” and “Furious 7,” have successfully screened in theaters in Lebanon, however. “Batman v Superman,” which introduced Gadot’s Wonder Woman, was the third biggest hit at the box office in Lebanon last year. And, as has been pointed out, “Wonder Woman” was, in fact, made by three companies based in America and two based in China, so calling it an Israeli product is debatable. “Wonder Woman” lands in American theaters on Friday and, fueled by overwhelmingly positive reviews, is expected to perform strongly. 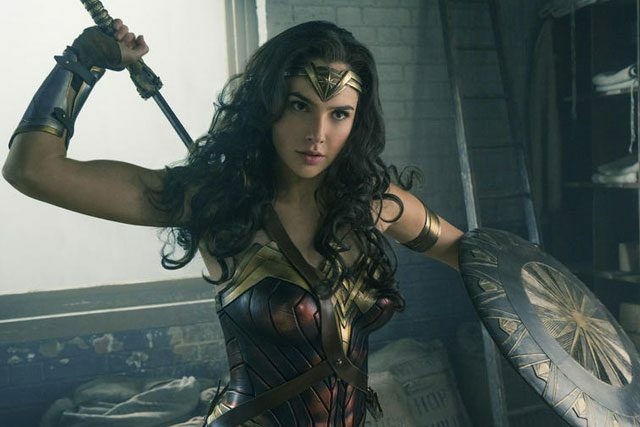 Read our recent profile of director Patty Jenkins, in which she explains why the world needs Wonder Woman, right here. Why Choose Timber Flooring and What Is It All About?